You’ll find mention of herbs woven through history and literature. Since ancient times we’ve known of their healing properties. Terrifying legends, poetry, songs, and verses tell the tale of our connection with these powerful allies. There was a time when most households kept a herb garden and knew how to forage for wild culinary and medicinal herbs. We would be well served to embrace this timeless tradition and cultivate our own natural medicine. I’ll tell you a secret that everyone with an herb garden knows; growing herbs in itself is a therapeutic practice. One only needs to brush their hand against the leaves, catch the mingling scents in the air or carry a bundle of hand-picked herbs to the kitchen to understand why our ancestors loved them so. The fact is, we rely too much on health items that have been imported, packaged in fancy bottles, promising this or that for our health. Not only is it more sustainable to use the plants that grow in our backyard, but the herbs that you grow are also fresh thus more potent, and retain an indefinable part of their quintessential essence. 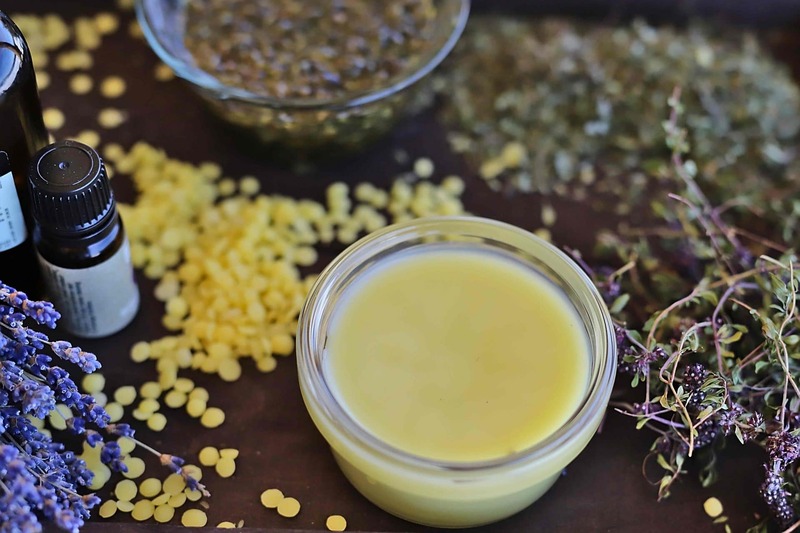 Most culinary herbs can be used to make salves, balms, oxymels, tinctures and other beautiful herb infused products that nourish the body naturally. Once such herb is thyme, a plant renound for it’s antibacterial properties. There are more than three hundred varieties of thyme, the most common one being Thymus vulgaris. Wild thyme (Thymus serpillum) and Citrus thyme (Thymes citriodorus) are also widely used. Thyme is a small garden herb whos uses date back to ancient times. Its primary essential oil thymol is commonly used as a disinfectant and an antiseptic in modern-day remedies. In the culinary world, it pairs beautifully with sage and rosemary. 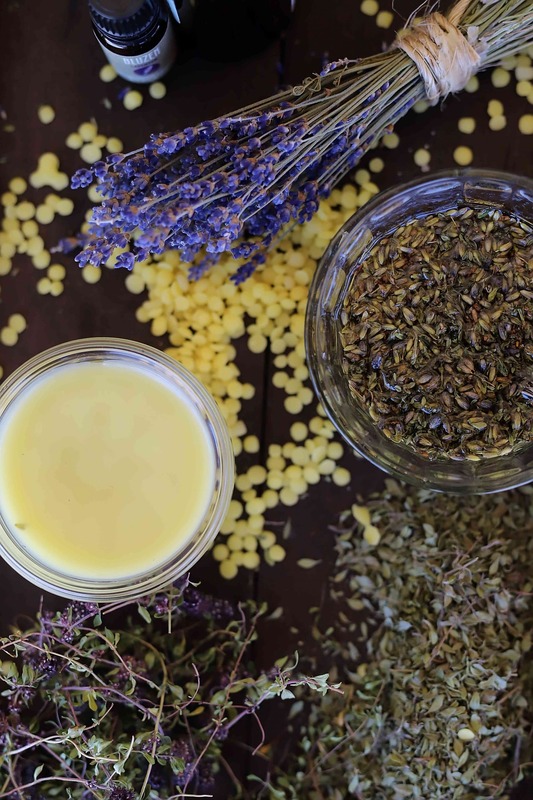 We infuse thyme in oil, and this infusion is used to make a variety of products. 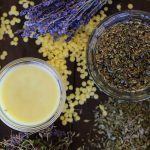 One of my favorites is thyme & lavender anti-bacterial herbal salve. Lavender: anti-inflammatory, anti-fungal, anti-depressant, antiseptic, antibacterial, antimicrobial, antispasmodic, analgesic, calmative, detoxifier, hypotensive, and sedative. The first step in making a slave is infusing oil with herbs. Herbal oil infusions are easy! I have a detailed tutorial called Herbal Infused Oils For Natural Skincare: a folk medicine style cold infusion method. If you are in a hurry, you’ll want to look up quick herbal infused oil method, which involves low and slow heat to infuse the herbs into the oil. 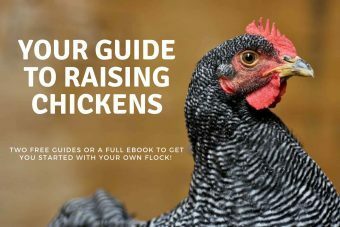 One book I recommend to beginners is Medicinal Herbs: A Beginners Guide by Rosemary Gladstar. My copy is well worn, and I still refer to it for reference. Once you dive into this book, you’ll be unstoppable when it comes to mixing magic with herbs. In a double boiler or a heatproof bowl nestled on top of a pot, add a few cups of water to the pot. Bring the water to a simmer over medium heat. Place the heat proof bowl over the pot and add the infused oil and beeswax. Remove from the heat, Add the essential oils. Stir well to combine. Pour the salve into clean and sterilized jars. Allow to cool before affixing the lids. Store the salve in a cool dark location, and it should last a long time. We store excess in the refrigerator. In a double boiler or a heatproof bowl nestled on top of the pot, add a few cups of water to the pot. Bring the water to a simmer over medium heat. Place the heat proof bowl over the pot and add the infused oil and beeswax. Store the salve in a cool dark location, and it should last a long time (a year or longer). We store excess in the refrigerator. Information offered on Walkerland is for educational purposes only. Walkerland makes neither medical claim nor intends to diagnose or treat medical conditions. Links to external sites are for informational purposes only. 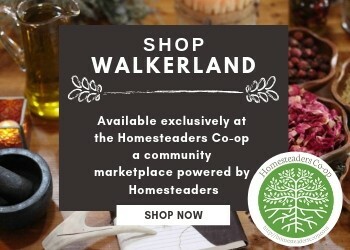 Walkerland neither endorses them nor is in any way responsible for their content. Readers must do their research concerning the safety and usage of any herbs or supplements. If you are pregnant or nursing consult a professional before using herbs.